European stocks closed higher on Wednesday, as market participants awaited a no-confidence vote in the U.K. government led by Theresa May. 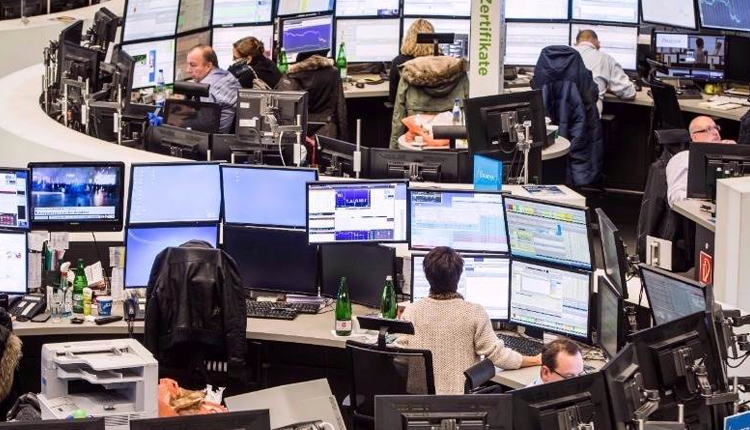 The pan-European Stoxx 600 was up almost half a percent at the closing bell, with most sectors and major bourses in positive territory. Europe’s banking index led the gains, rising 2.4 percent as some of Italy’s notoriously fragile lenders pared some of their recent losses. It comes after a prominent Italian lawmaker reportedly said mergers among some of the country’s struggling lenders could help make Rome’s banking system more solid. Italy’s Unicredit and FinecoBank both gained almost 6 percent on the news. Meanwhile, shares in Germany’s Deutsche Bank rose by 8.4 percent after Bloomberg reported that watchdogs would prefer the bank to merge with a European competitor instead of German rival Commerzbank. The U.K.’s Metro Bank was Europe’s best performer, with shares surging by more than 10 percent by the end of the session. In corporate news, shares in Norsk Hydro jumped over 5 percent after Brazil’s state authority lifted a production embargo on one of its aluminum refineries. At the other end of the scale, British education publisher Pearson announced on Wednesday that revenue at its core U.S. business was slowing. It slumped towards the bottom of the index on the news, with shares of the London-listed stock slipping 6 percent. U.K. cinema chain Cineworld was the session’s worst performer, with shares falling almost 7 percent after it announced a slowdown in revenue growth for 2018. On the data front, Britain’s inflation rate fell to its lowest level in nearly two years in December, according to official data published Wednesday. Consumer prices rose at an annual pace of 2.1 percent in December, slipping from 2.3 percent in November. The fall was exacerbated by falling fuel prices, providing some support for consumers who have reined in their spending ahead of Brexit. It prompted opposition leader Jeremy Corbyn to immediately call for a motion of no-confidence in the government. The vote is to be held at around 7:00 p.m. London time on Wednesday. Sterling was little changed from the previous session, trading at around $1.2862 as markets closed. The U.K. currency has fallen more than 13 percent against the U.S. dollar since the 2016 referendum.